Botox® injections are commonly known as a cosmetic procedure to smooth wrinkles and fine lines. But did you know that there are a number of other benefits to Botox? As Boulder’s Top Rated Local® Dermatology clinic, we offer Botox for cosmetic purposes, but there are other conditions that Botox does benefit. In today’s article, we’ll explore Botox further to explain how it works, what the side effects are, and the additional benefits. If you’re seeking a solution to smooth your skin’s surface for a younger looking appearance, contact the Boulder dermatologists at Kallgren Dermatology and schedule an appointment for Botox today! Botox is formulated out of a protein called Botulinum toxin that is administered as an injection directly to the facial muscles blocking the nerves to the muscles. When the muscle is injected, it can no longer contract, which causes the wrinkles to relax and soften. Cosmetically, Botox is injected on forehead lines, crow’s feet, and frown lines. Other facial wrinkles that are naturally caused by gravity and sun damage will not respond. 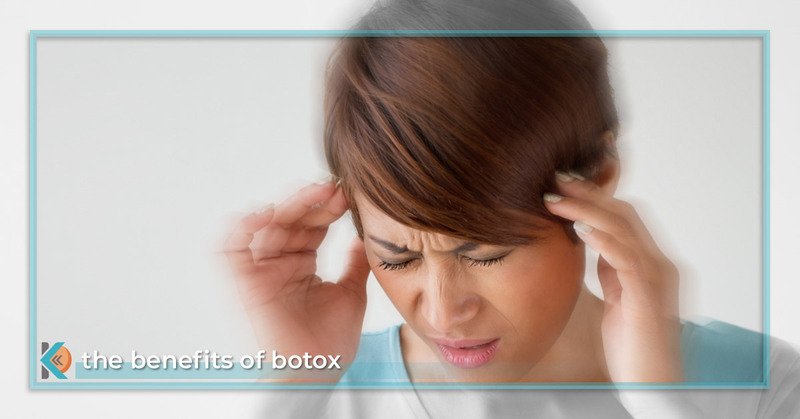 Aside from these conditions, by far the most popular condition that Botox can benefit are migraine headaches. It still isn’t certain how exactly Botox effectively treats migraine pain, but medical experts believe that the drug blocks the sensory nerves that project the pain messages to the brain. Additionally, when the muscles relax, they become less sensitive to the pain onset. Studies show that migraine sufferers reported their migraine frequencies dropped by almost half after they’ve began their Botox treatments, and the severity lessened significantly as well. The side effects are minimal, but some patients will experience temporary drooping of the skin near the injection site. Whether you are getting Botox for cosmetic reasons or medically, Botox injections will need to be administered periodically in order for patients to maintain their results. To keep wrinkles and lines smooth, Botox should be done every four to six months. For migraine sufferers, Botox should be administered once every three months for up to one year in order to give it a fair trial. As cosmetic procedures become more popular and more socially acceptable, medical experts are exploring new ways patients can benefit from cosmetic practices. At Kallgren Dermatology, our Boulder dermatologists administer Botox injections for cosmetic purposes and encourage you to speak with your physician about which migraine treatment is best for you. If you live in Boulder and are in need of anti-aging solutions, contact our dermatology clinic to schedule an appointment.